A variety of apparel, embroidered with the Reading Liederkranz logo, including baseball caps, sweatshirts and golf shirts, is available. To purchase these items, see Robin Pritz, our General Manager, one of the bartenders or ask your wait staff. 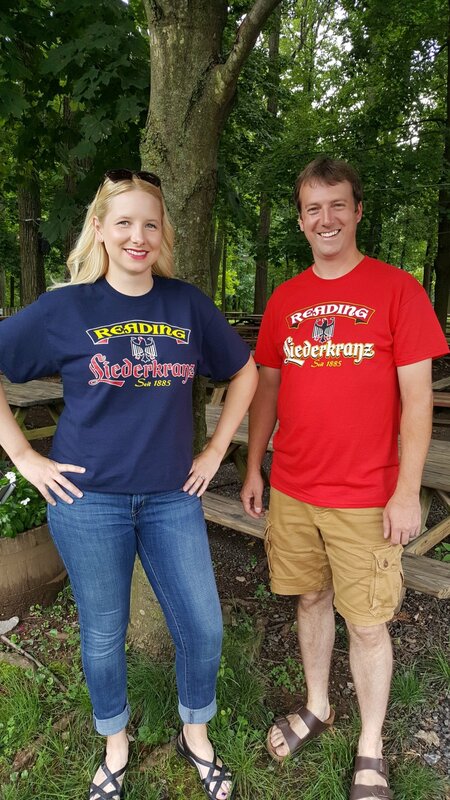 2018 Reading Liederkranz T-Shirts available in Navy & Red.